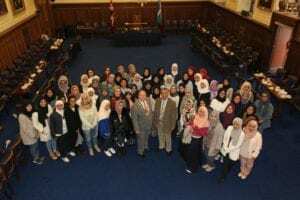 Picture shows Al-Maktoum College Principal and Vice Chancellor, Dr Hossein Godazgar with Dundee Lord Provost Bob Duncan and visiting Summer School students at the City Chambers.  The 2015 Summer School with a total of 60 female students from the United Arab Emirates, Egypt and Malaysia is under way at Al-Maktoum College of Higher Education. This is the 20th educational programme of its kind since the first Summer School was held in 2003 – and more than 850 students have come to the city in that time. “We think this is a great achievement and clearly our educational programmes are proving to be of continuing interest to the students,” said Dr Hossein Godazgar, Principal and Vice Chancellor of the College. Study and debate on Multiculturalism and Leadership will play a prominent part in the students’ time here. “We have a challenging programme that is aimed at giving the students an opportunity to learn and understand more about Scotland, its people, its history, culture and traditions in the contemporary world,” said Dr Godazgar. The students will be in Scotland for three weeks.